Redacted settlement gives hint that estate will get domain as part of the settlement. The Estate of Prince Rogers Nelson has settled a legal battle with Domain Capital over ownership of the Prince.com domain name. The estate sued Domain Capital saying that it was cybersquatting by owning Prince.com. Domain Capital countersued for reverse domain name hijacking and requested that the Prince trademark be canceled. On June 11, the estate filed a planned settlement agreement in the probate court in Carver County, Minnesota. It’s heavily redacted and does not publicly display terms of the agreement. However, it mentions that there’s an escrow agreement involved. This suggests that the likely outcome is Domain Capital will transfer the domain to the estate and drop its counterclaims in return for a cash settlement. Good for Domain Capital to countersue and request a cancellation of the trademark. I hope they got a big settlement and weren’t forced to cave in to the undue influence of the trademark lobby in the legal system. Seriously? A domain SQUATTER has more rights than the individual they are squatting against? You are all blackmailers. You don’t know what you’re talking about. This was attempted legal theft of a valuable piece of property no one should be able to claim they and they only have a right to (not even the Prince of Peace). 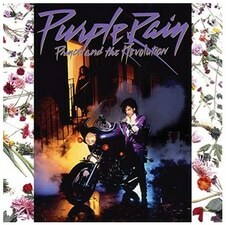 I’ll bet the Purple Rain Prince is turning in his grave over the behavior of his heirs in this matter. Possession of a domain does not necessarily breach trademark law. The key is in use of a name. Trademarks do not grant ownership of a name/phrase/image/scent/sound, it protects vs misuse in particular where confusion of association may occur. In fact, McDonald’s just lost their trademark in Europe for “Big Mac” and in some cases “Mc” (they can still appeal the decision) because they could not prove a bona-fide business use of their trademark in Europe, after trying to use it to block the expansion of an Irish fast-food chain by the name of Supermac. The tennis people have certainly missed out, they would have had the most to gain from buying it. The main fact of this news-Having a generic, single word .com is worth everything. On another note. The new Apple iPhone X’s AI (SIRI) now recognizes “some” generic single-word nGTLDs. In the past, SIRI only recognized .com. Voice activation works now for both Nashville.com and Golf.Club. That matters. Not going to change anything for new tlds, .club is a sinking ship. Prince.org is a fan site.